Predatory jackrabbit. Click image to witness lagomorphs’ vicious nature. The Environmental Assessment has been issued; comment deadline is Oct. 16, 2014. Details at end of post. 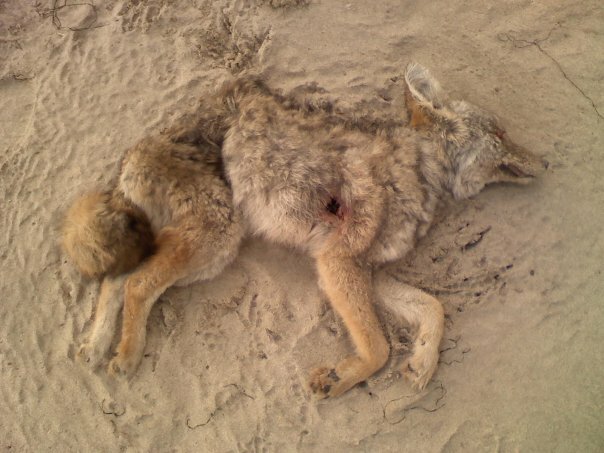 Q: What do coyotes, skunks, weasels, jackrabbits, raccoons, starlings, and grey wolves in Idaho have in common? A: An arsenal of bullets heading their way.